And how could my last pic NOT be a macro? Just look at that gorgeous creamy green. I wasn't that excited about this color but on, it's a whole different story! Love it! 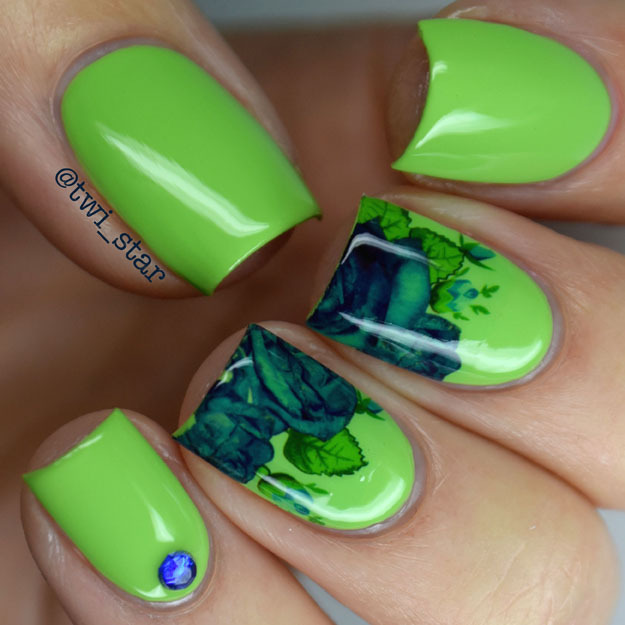 I hope you liked my mani, thanks for stopping by! Thank you! 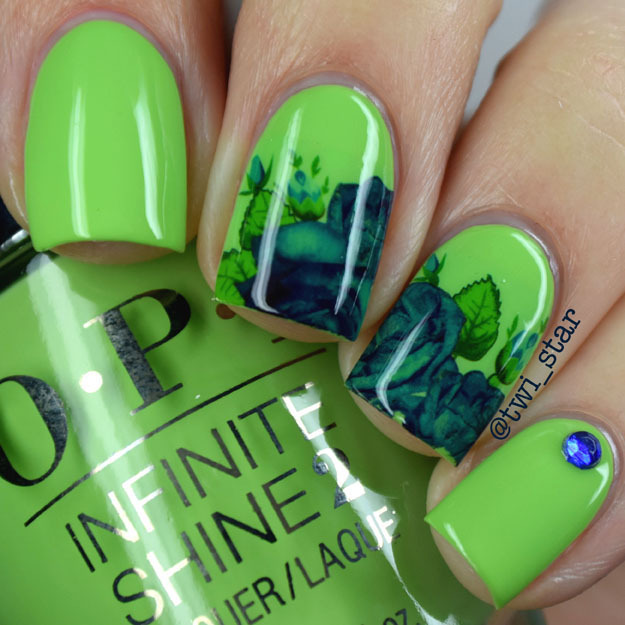 I love this green, it feels perfect for Spring! 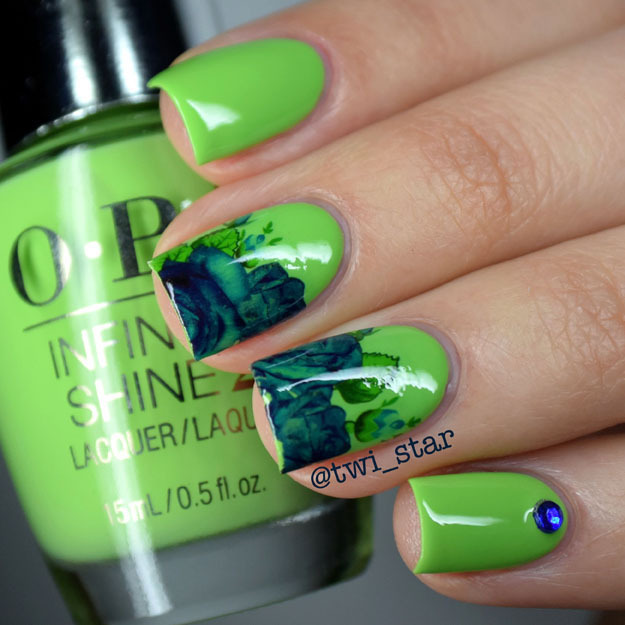 I really love that the sheerness of the water decal gives this mani almost a watercolor effect! Super pretty! Thank you so much Millie! I keep looking at these decals because I want to use them again but I'm stopping myself because it's "too soon" lol I should buy some more in another color! OH! 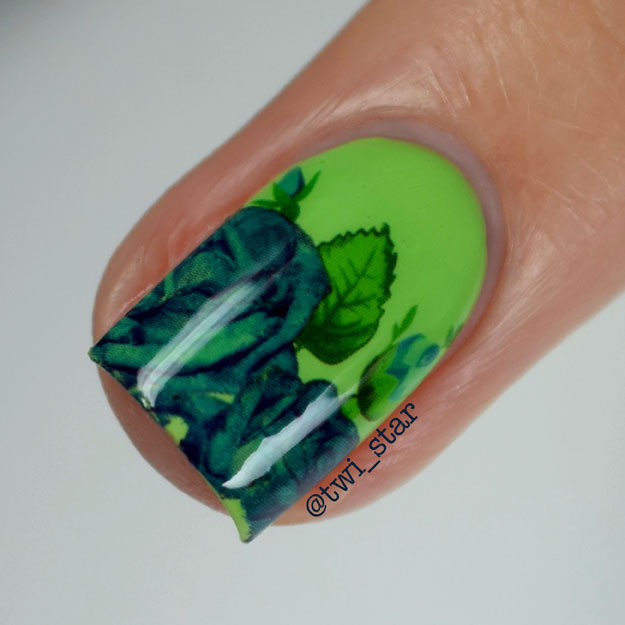 I forgot haha Yes they are kind of sheer so the green polish kinda shows through. I love that because it helps the decals match the base color better!